The Michigan Legislature passes Miller v Alabama compliance legislation after extensive input from all sides. NOVJM victim family members led by Jody Robinson had significant input and were pleased that the legislation was prospective only, and leaving life sentences available where appropriate for extremely heinous murders. SB 319 has passed and we commend all legislators for their very careful consideration of this complex problem. This Michigan legislator articulately explains the bill and its context. LANSING – Michigan Attorney General Bill Schuette today announced the U.S. Court of Appeals for the 6th Circuit has granted his request to stay a ruling by a federal court opening the door for parole for approximately 360 teenage murderers currently serving life sentences without the possibility of parole. The order issued today in Hill v. Snyder stays the District Court ruling pending the outcome of an appeal before the 6th Circuit. Today a three judge panel of the U.S. Court of Appeals for the 6th Circuit stayed an order issued by U.S. District Court Judge John Corbett O’Meara in Hill v. Snyder on November 26, 2013 pending the outcome of appeal. Judge O’Meara’s order “requires the State to give notice within the next nine days to approximately 360 inmates that their eligibility for parole will be considered in a meaningful and realistic manner. And within that same time period, prisoners sentenced to life imprisonment without parole for crimes committed as juveniles must be provided any educational or training program which is otherwise available to the general prison population” (p. 4). The U.S. Court of Appeals order concludes, “This is a remarkably short amount of time for compliance, given the scope of the undertaking.” The Court grants Schuette’s request for stay, concluding, “… the State has demonstrated a ‘likelihood of reversal’ and that it would suffer significant harm in light of the overbroad nature of the district court’s order” (p.4). Schuette’s appeal will challenge the District Court’s requirement that the Michigan Department of Corrections open the door to parole for nearly 360 teenage murders currently serving life sentences without the possibility of parole. Such parole hearings are not warranted under existing Supreme Court precedent. The federal retroactivity standard established by the U.S. Supreme Court in Teague v. Lane in 1989, commonly known as ‘the Teague Rule,’ states that U.S. Supreme Court rulings are not generally retroactive for matters of judicial process. Schuette will also defend the statutory authority of state sentencing judges to block parole for violent criminals, when warranted for public safety. In November 2012, the Michigan Court of Appeals clarified that Miller v. Alabama does not apply retroactively to teenage murderers who have already been found guilty and have exhausted their direct appeals. A date has not yet been set for the appeal to be heard by the U.S. Court of Appeals for the 6th Circuit. Hopefully seen as though the Mivhigan Supreme Court has already agreed to see 3 cases on the issue of retroactivity that this issue will finally be resolved one way or another with in a year or so. I would also like to add that I am very hopefully that both the Michigan and federal Supreme Court will rule that retroactivity does not apply and families like mine can finally have legal finality thank you to each and everyone of you who have supported me throughout this long process. A Judge pushes the Michigan legislature to pass a bill fitting his interpretation of the Miller v Alabama ruling. 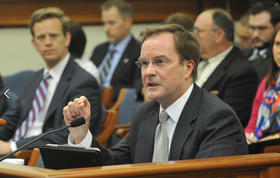 Attorney General Schuette challenges it. The Michigan Senate passes a bill that would bring the state into compliance with the Miller v Alabama ruling along the lines that NOVJL and legal experts believe is the best – NO retroactive application of the elimination of mandatory life sentences for convicted murderers who were under age 18 at the time of the crime. The legislation would give judges more sentencing options for current and future cases of teens who kill. A Michigan Judge rules that all “juvenile lifers” receive re-sentencing hearings. The state Attorney General will appeal this decision, citing the horrific impact on victims families as key in his concerns. August 27, 2013 the Michigan Legislature held a full day hearing on the issue. 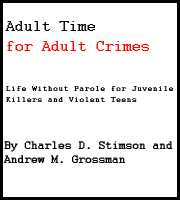 Download here the testimony of Charles Stimson, national legal expert on the issue of juvenile life sentences and author of Adult Time for Adult Crime. Here is a update on what is going on here in Michigan on the JLWOP issue following the Miller v Alabama Supreme Court Ruling. We urge Michigan Residents to call their state Representatives. State your support for the SENATE bills, not the House bills that were introduced. Rare and important JOINT House and Senate hearings on the issue of life sentences for teens who kill was held on AUGUST 27, 2013 at the Capitol in Lansing. · the parole board in the future has to perform a meaningful review of the prisoner when parole eligible. · If the prosecutor choose to do so, they could ask for a hearing to sentence the defendant to LWOP, and the bill lists mitigating and aggravating factors that would have to be considered by the judge. 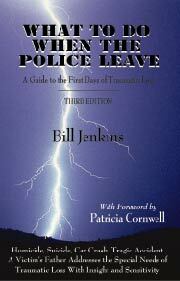 · Include a list of mitigating factors for the court to consider before re-sentencing the juvenile lifer. This article on MLive.com well summarizes the struggle victims families are facing in Michigan, as so many do elsewhere in the nation. LANSING, MI — One year after such sentences were declared unconstitutional, more than 350 Michigan prisoners serving mandatory life terms for violent crimes they committed as minors remain in legal limbo. Lower courts and lawmakers are still debating whether they deserve a second look — and perhaps a second chance — as adults. The U.S. Supreme Court, in a 5-4 opinion released last June, invalidated mandatory “juvenile lifer” sentencing schemes as a form ofcruel and unusual punishment that fail to consider the potential for cognitive and character development in young people. But the court did not specify whether states should provide retroactive relief to offenders already doing time. Michigan, home to the second-highest number of juvenile lifers in the nation, has seen continued litigation and proposed legislation that could eventually result in resentencing or parole hearings. But to date, the Supreme Court ruling has provided few definitive answers for juvenile lifers, their victims and the families of both. McGregor doesn’t remember many details about her father, Dave VanBogelen, but she grew up with reminders of his loss and the way it impacted her family: Her mother’s struggle to cope, daddy-daughter dances without him. Those memories came flooding back earlier this year, when 39-year-old Amy Lee Black filed a motion for resentencing. Black, 16 at the time of the crime, admits she plotted to rob VanBogelen and bashed a whiskey bottle over his head but says she did not expect her 19-year-old boyfriend would end up stabbing him to death. Her resentencing request was tabled pending the outcome of other cases. The Supreme Court ruling opened old wounds for victim families, but it also provided an “undercurrent of hope and change” for juvenile lifers and their loved ones, according to Patricia McLemore of Burton, whose 30-year-old son has been serving a life sentence since he was 16. Patrick McLemore was convicted of felony murder in the 1999 beating death of 67-year-old Oscar Manning. He claims to have served as a lookout for an attempted robbery while an older accomplice entered Manning’s home and killed him. But police found blood on his shoes and other local teens said he bragged about dropping a television on the victim’s head. While she recognizes that her son had a troubled childhood, Patricia McLemore said he has moved forward as an adult, and the Supreme Court ruling has inspired him to begin making tentative plans for life beyond the one he’s lived behind bars. Michigan gives prosecutors broad authority to pursue adult charges against anyone over the age of 14 accused of certain violent crimes that carry mandatory life sentences without the possibility of parole. A previous MLive investigation found that many Michigan juvenile lifers did not do the actual killing but acted as accessories. Because of plea bargains, some older shooters serve less time than juvenile accomplices sentenced to life. Since that ruling, state and federal courts have consistently found Michigan’s sentencing scheme to be unconstitutional, but they have offered differing opinions on whether the ruling should apply retroactively to offenders like Black and McLemore. 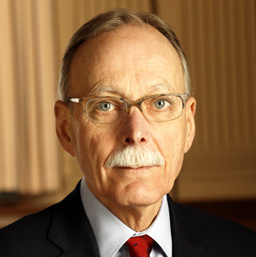 U.S. District Court Judge John Corbett O’Meara in January declared that Michigan juvenile lifers deserve a “fair and meaningful possibility of parole.” But he invited attorneys to describe what that opportunity should look like, and six months later, he has yet to make a final ruling. Deb LaBelle, an Ann Arbor attorney who has worked with juvenile lifers around the state and is lead counsel in the federal case, proposed public parole board hearings for those who have served at least 10 years in prison. “I think it would be a wonderful opportunity for the state to come into compliance with constitution,” she said. More recently, the court ordered re-sentencing hearings for some juvenile lifers who are still on direct appeal, including Thomas McCloud and Dontez Tillman, who were convicted in the beating death of a homeless man in Pontiac when they were both 14 years old. But the court directed sentencing judges to consider only two options — life without parole or parolable life — and an appeal is expected. While courts continue to wrestle with the retroactivity question, bipartisan legislation introduced this month in the Michigan House could put the issue to rest. The four-bill package would, among other things, allow judges the discretion to resentence juvenile lifers to a term of years less than life. Under the proposal, a judge would be required to consider mitigating circumstances outlined by the Supreme Court before deciding to reaffirm the offender’s original sentence of life without the possibility of parole or impose an alternative, such as life with the possibility of parole or a term of years. Offenders given the possibility of parole would become eligible for review after spending 15 years in prison, including time served under their original sentence. A member of the state parole board would be required to interview the prisoner every two years until they were released or deceased. Haveman worked with defense attorneys, prosecutors and prisoner advocates to develop the legislation, which he introduced this month with more than 20 co-sponsors from both sides of the aisle. Reps. Al Pscholka, R-Stevensville, and Margaret O’Brien, R-Portage, sponsored two of the four bills. The House Committee on Criminal Justice is expected to hold hearings on the legislation later this year, and while Haveman is hoping to avoid controversy, the testimony is sure to be emotionally charged. Jodi Robinson, treasurer of the National Organization of Victims of Juvenile Lifers, plans to speak out against the legislation. 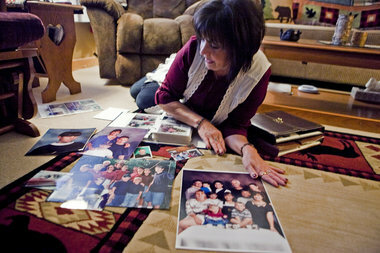 Her brother, 28-year-old James Cotaling, wasstabbed to death inside a Pontiac home in 1990. A 16-year-old and a 20-year-old were convicted, and she does not want to see either back before a judge. “The Supreme Court ruling truly has not been easy on any of us,” Robinson said. “Everybody wants to wrap this around the definition of cruel and unusual punishment, but nobody stops to think about what is cruel and unusual punishment for the victims that have already suffered. Offender advocates are spreading misinformation about the issue of retroactivity of the Supreme Court ruling. A Michigan court rejects the retroactive application of the Miller v Alabama Supreme Court ruling against mandatory life sentences for teen killers. Then in January 2013 a Federal Judge rules that it should be applied retroactively to a few cases, that those teen killers in Michigan sentenced to life should get a parole review, retroactively. Offender advocates have spread misinformation about the implications of this ruling. Read this excellent explanation by the Michigan Attorney General. Michigan has reportedly the second highest population of teens who have been convicted of murder and sentenced to life as adult, and therefore it is a target state for offender advocates who work to end JLWOP and other aspects of teen offender sentencing. While NOVJL does not object to reforming the criminal justice system, we have been concerned with the lack of victim sensitivity during this advocacy effort. Michigan Attorney General Bill Schuette says hundreds of juveniles sentenced to life without parole for murder or complicity in a murder should not get re-sentencing hearings. Schuette says a U.S. Supreme Court ruling that struck down Michigan’s mandatory life without parole law for juveniles should only apply to future cases. He has asked the state Supreme Court to limit the scope of the federal decision. Randy Wood is a spokesman for the attorney general. He says Schuette believes re-sentencing hearings would be a mistake. “Then hundreds of crime victims would be forced to come into court and relive these horrific crimes. The attorney general believes this would be a great tragedy. There’s no reason that crime victims should be re-victimized by these murderers who they thought they’d never have to see again,” he said. Wayne County Prosecutor Kym Worthy joined Schuette’s request to the state Supreme Court. READ OUR PRESS RELEASE November 2010 about the Michigan ACLU filing a lawsuit against the state, after several failed attempts to end JLWOP through the legislative process. One reason why the legislative strategy has failed the offender advocates? Read this politically honest admission by a state senate candidate Scott Elliott who tried to run on the JLWOP issue and lost his election, citing that it was a mistake to think that the public wanted to see teen killers freed. We agree with Mr. Elliott’s now wiser assessment of what the public feels on this troubling issue. Read about the convicted murderers that the ACLU would like to see freed, and we ask what support and voice is being given to the victims of these cases? The ACLU of Michigan is suing the state to try to advance its agenda, since it has not been able to win in the legislature after many years of trying to abolish life sentences for murderers under the age of 18 at the time of their crimes. We are troubled by the misinformation and propaganda that they have been advancing in support of these cases, and believe that this attempt to create some sort of new constitutional right is in fact just a new tactic to advance their policy agenda in support of murderers over public safety and murder victims. We have urged them to sit down with us for meetings to discuss what reforms might be needed in Michigan in a responsible way. And we are absolutely insisting they stop using propaganda about the cases, publishing only the offender’s version of the stories, without the facts of the crimes. And we insist that they stop using passive language (“the gun went off”) instead of the truth which are that the offender shot and killed the victim. Read below about the facts of the 9 cases they cite in their lawsuit. We believe that the courts will strike this case down, as they have so many others in so many other states. The courts have said repeatedly that life sentences for murder are entirely constitutional. Given what the victims and their families have suffered, we hope that the offenders make the best of their time in prison to help make restitution to their victims and to help others who are in trouble and will be released some day. Matthew Bentley – Victim – Betty Bardell – Bentley broke into a house in Michigan’s Colfax township on September 2 1997 looking for a car to steal and some ready cash. He took a gun from the homeowner who confronted him, and shot Betty Bardell in the shoulder before he fled. She bled to death on the carpet. 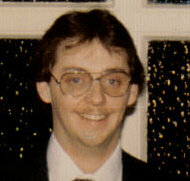 Kevin Boyd – Victim – Father Kevin Boyd – He was 16 when, on August 6 1994, he helped his mother murder his own father. 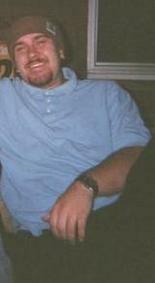 Victim Kevin Boyd was bludgeoned with a baseball bat and stabbed 23 times. Henry Hill – Victim – Anthony Thomas – Hill was an accomplice to murder with his cousin Larnell Johnson, 18, the “trigger man” also serving life. Keith Maxey – Victim – Bishop Allen – the murder happened during a drug deal. Jennifer Pruitt – Pruitt was the 17 year old accomplice when her 23-year-old girlfriend stabbed an elderly man 27 times – after they had returned to his home a second time, having already stolen $93, cigarettes and other items. Bosie Smith-El– is currently serving a life sentence without the possibility of parole for a murder that happened in Ypsilanti in 1992. Jemal Tipton – was 17 in 1987 when he participated in a robbery with two adults, Nellie McInnis, a 46-year-old friend of his mother’s, and Anthony Parks, his older brother. McInnis drove Jemal and Anthony to where the robbery took place. She gave Jemal a .22 caliber pistol and identified an acquaintance of hers as the person to rob. Armed with the pistol, Jemal approached the victim and demanded his valuables. He shot twice, one shot hit and killed the victim. He has served 22 years of his life sentence. Damion Todd – Victim – Melody Deshawn Rucker – Because they were shot at by some unidentified “guys,” Cooley High School students Damion Todd and Vernard Carter went looking for a gun and found it at classmate Derrick McClure’s house, a witness testified. As they drove toward a house on Sunderland Street where they had been earlier that night and where 16-year-old Melody Rucker and her friends were having a party, McClure showed Todd how to use the shotgun. 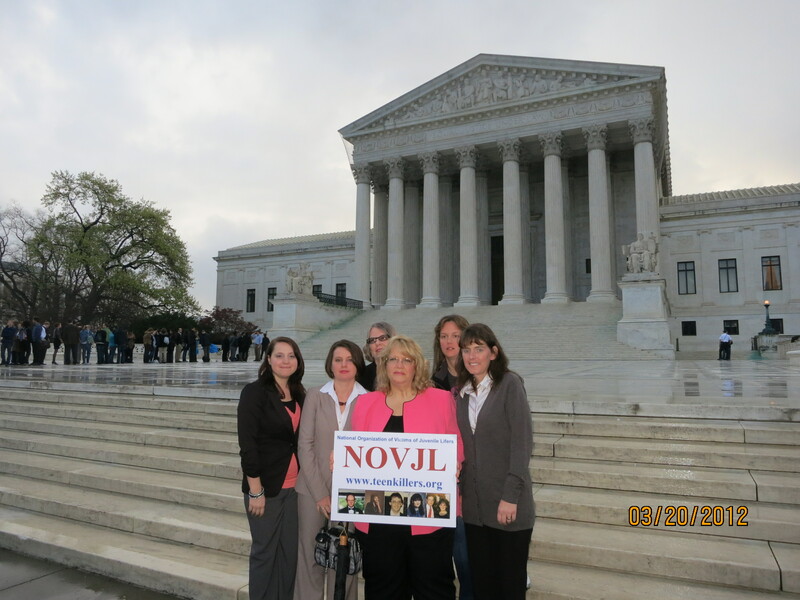 Public Commentary on Proposed Rule Changes: NOVJL expresses its gratitude to the Michigan Supreme Court and to Justice Maura Corrigan in particular for seeking out the comments of victims and victims’ advocates on proposed changes to Michigan Supreme Court rules. We are not surprised that the Court received numerous comments on those changes from defendants and their advocates and none from victims. Victims have few allies and very little organization and support; victims often will be re-traumautized by the experience of even hearing from a court about something having to do with their case, and will even shrink from participating. Therefore, these proposed rule changes are a step in the right direction. We assume the proposed new rules would leave in place the notification that victims receive (when they sign up to get such notice, as they should be supported to do) when defendants seek to reverse their convictions or sentences. If not, we hope that language to that effect would be added. We applaud the proposed changes as a way of restoring some sense of justice and finality for victims. We note that the proposed changes include a wide array of protections for defendants. We express the hope that the proposed changes will have the additional effect of creating cost savings in the criminal justice system, and that some of those savings will be diverted to programs to help victims. This is a running digest to help you navigate the impact and reaction following today’s U.S. Supreme Court ruling striking down mandatory life without parole sentences for juveniles. New links will be added as new stories are posted. For chronological order, start at the bottom. • Saulo Montalvo was the getaway driver in a robery where a store clerk was killed. He was 16. 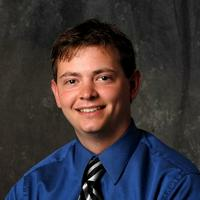 Now 32, he is working to become an ordained minister, and serving life behind bars. He prays daily for his victim’s family. • Friday marks 30 years since David Samel was convicted of aiding a fatal beating. His twin brother took a plea bargain and is now free, David went to trial and got mandatory life. He sees new hope in this week’s ruling. • Defense attorneys are making plans to represent Michigan’s juvenile lifers for free in resentencing hearings. Training is planned on arguing mitigating circumstances, such as age. 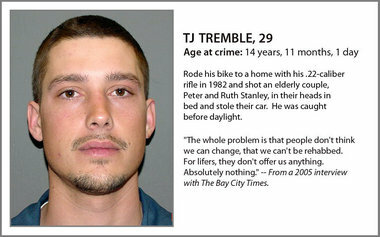 • Genesee County’s prosecutor expects the 26 juvenile lifers from his county to seek resentencing. “We’ll be prepared and we’ll look at each case on a case by case basis” Prosecutor David Leyton said. • The National Organization of Victims of Juvenile Lifers is urging support for murder victims’ loved ones. “Everyone’s biggest concern now must be finding, notifying and supporting the many affected victims’ families,” its president said in a statement. • Saginaw County Prosecutor Michael D. Thomas spent most of his morning and afternoon contacting families who lost loved ones to Saginaw County’s 21 juvenile lifers. • Jody Robinson is the sister of a 28-year-old murder victim and secretary of the National Organization of Victims of Juvenile Lifers. “To be honest, I’m quite upset and quite worried about the effects this is going to have on victims,” she said. •“Thank God,” said the father of juvenile lifer Patrick Gray, now 40, who was convicted in a 1988 murder on Kalamazoo’s north side. •A lawyer for many of Michigan’s juvenile lifers says defense attorneys will begin petitioning for mitigation hearings, where inmates would be resentenced by local judges based on a variety of factors, including age. • “I think the ruling is very right,” says the former lawyer for TJ Tremble, convicted of killing an elderly couple in 1997. Beyond getting a new sentence under today’s ruling, another pending case could net Tremble a new trial. See why. •Two cases were at the heart of today’s decision, both involving 14-year-olds serving life sentences in connection with killings. Read why they are similar, yet different. •In a 5-4 vote, the nation’s highest court said mandatory life sentences for minors are cruel and unusual punishment. The ruling will have greater impact in Michigan than almost any other state. •Analysis: See which options the Supreme Court could have taken and what happens with each, including the route chosen. •Read MLive’s November series on why Michigan has more juvenile lifers than almost any other state. The United States District Court for the Eastern District of Michigan will issue a ruling soon on a complaint filed that challenges a law mandating that juveniles spend life in prison without the opportunity of parole for committing a felony or first-degree murder. The complaint — which is supported by the Michigan chapter of the American Civil Liberties Union — was filed in November by Ann Arbor attorney Deborah Labelle on behalf of nine plaintiffs who were under the age of eighteen at the time of their sentencing. According to Rod Hansen, a spokesman for the U.S. District Court, the complaint does not seek to challenge the convictions, but rather challenge the constitutionality of sentencing juveniles to life in prison without parole. Hansen said the complaint argues that mandatory life without parole for juveniles violates the 8th and 14th amendments of the Constitution — namely that in addition to being cruel and unusual punishment, it is also the denial of due process to not have an opportunity for parole. Labelle, who is the lead counsel on the case and a cooperating attorney with the ACLU, said she couldn’t speculate about the ruling of the case — which is currently being reviewed by Judge John Corbett O’Meara, the federal district court judge in Ann Arbor — though she expects the ruling will be available soon. She added that the complaint challenges the juvenile lifer law by arguing that it is unconstitutional to give juveniles the most severe form of punishment that an adult criminal could receive without considering their youth. “The U.S. Constitution is violated by placing youth in prison for the rest of their lives until they die, giving them the harshest punishment you can give to anyone, including an adult who is a serial murderer,” Labelle said. Labelle said the law should be revised since it does not allow the court to consider the age and developmental capabilities of the juveniles. By placing juveniles in jail without parole, she said, the law fails to acknowledge that the juveniles have not finished developing and deserve another opportunity to live as a citizen in society. Jennifer Bishop-Jenkins, one of the founders of the National Organization of Victims of Juvenile Lifers, said she was disappointed with how the complaint was filed, since the families of the victims of the crimes committed by the plaintiffs were not notified that the complaint was filed. Bishop-Jenkins said she believes the reports published by the Michigan chapter of the ACLU were “disingenuous” because they only tell the plaintiff’s stories and contradict court and police records, as well as fail to consult the victims to hear their side of the story. “They are publishing these very sympathetic sounding propaganda pieces about these cases and they are not actually publishing the full facts,” Bishop-Jenkins said. She added she believes that both national policy and public opinion support the sentence of life in prison without parole, which will make it difficult for the court to rule in favor of the complaint. The Westland couple did nothing wrong but are forever entrapped in reliving what happened to their son Daniel Sorensen four years ago. 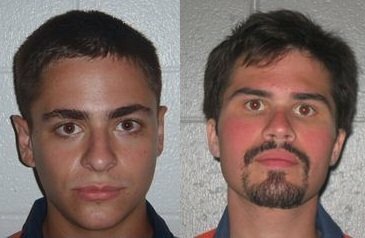 Daniel Sorensen, 26, was murdered and decapitated Nov. 7, 2007 by Jean Pierre Orlewicz, a then 17-year-old from Plymouth Township who was sentenced to life without parole in 2008. During the trial, prosecutors called Sorensen’s slaying a “thrill kill.” They said Orlewicz, now 21, was excited by the prospect of killing someone and getting away with it. Orlewicz’s attorney, James Thomas, said the teen stabbed and then beheaded Daniel Sorensen in self-defense after an extortion plan went wrong. The jury found Orlewicz guilty after testimony from Alexander Letkemann, a Westland teen who Orlewicz recruited to help him dispose of the Daniel Sorensen’s body. Letkemann testified that Orlewicz laid out items — including latex gloves, garbage bags, bottles of Drano for the cleaning, knives for the killing, a hacksaw for the decapitation and a propane blowtorch to remove his fingerprints — in preparation for the murder in his grandfather’s garage. According to James Sorensen, Letkemann’s willingness to testify is what helped put Orlewicz in prison, where he should remain for the rest of his life. View full sizeMDOC2011 photos of Jean Pierre ”JP” Orlewicz, 21, (left) and Alexander Letkemann, 22. “Do I feel justified in assuming the stance that life without parole is right with somebody for that age? Absolutely,” he said, adding he is OK with Letkemann, now 22, only receiving20 to 30 years in prison as part of a plea deal. In Michigan, homicide suspects ages 14 to 17automatically go to adult court. If convicted of first-degree murder, which includes participating in a crime where someone else does the killing, the only possible sentence is life without parole — unless a plea deal is reached. However, the “agony” for families of victims doesn’t end with a sentencing. The Sorensens, as well as other families in Metro Detroit, have to deal with appeals and constant reminders of their loved ones’ deaths. “When a jury comes back with a verdict, you have all types of people saying, ‘Oh, he was found guilty, he’s going to prison for life, that must give you closure,’ ” said James Sorensen, 55. “If they think there’s closure, they’re sadly mistaken. In Michigan, 358 prisoners are serving mandatory life sentences for crimes committed between the ages 14 and 17, the second-highest number in the nation. Jennifer Bishop-Jenkins, president of the National Organization of Victims of Juvenile Lifers, says the future for families of victims murdered by juveniles in Michigan could become worse. The American Civil Liberties Union is fighting to give juvenile lifers a second chance, through a federal lawsuit in Detroit. Bishop-Jenkins’ sister, Nancy Bishop-Langert, wasshot to death along with her husband, Richard Langert, and their unborn child in suburban Chicago in 1990 by 16-year-old David Biro. Bishop-Jenkins, who prefers not to speak Biro’s name, said there is a middle ground that can be reached to change legislation in Michigan, but the ACLU’s retroactive approach is the wrong way of doing so. “Crime is very individualized,” she said. “Anything that gives more individual case by case discretion is going to be helpful. And Bishop-Jenkins’ feelings on the legislation are shared by other members of the organization, including Jody Robinson. Robinson’s brother, 28-year-old auto mechanic James Cotaling, was found stabbed to death in May 1990 in a house in Pontiac. “Trying to just deal with it and put it to rest was hard enough without having legislators bring up possibly changing the sentence of the juvenile responsible,” said Robinson, ofOakland County. “It has been very difficult on everyone in my entire family for many reasons. Barbara Hernandez, a 16-year-old at the time of the killing, and her older boyfriend, James Roy Hyde, were convicted of murder and robbery charges. They were sentenced to life in prison, but Robinson continues to fight to keep them in prison. Robinson, Bishop-Jenkins and James and Kimberly Sorensen said they will continue to speak out in honor of their loved ones who can no longer speak for themselves because of juvenile murderers.